Both models 25B and 1126 are known as the best preamps of Western Electric. Western Electric 25B was a giant sound console designed for radio stations and radio broadcasters in the same year. The internal equipment included 130A, 129A and 18A components. Line Magnetic Audio considers the volume and practicality of 25B. After many years of research and tuning, 129A and 18A and other accessories were integrated and reorganized to make them suitable for home use. 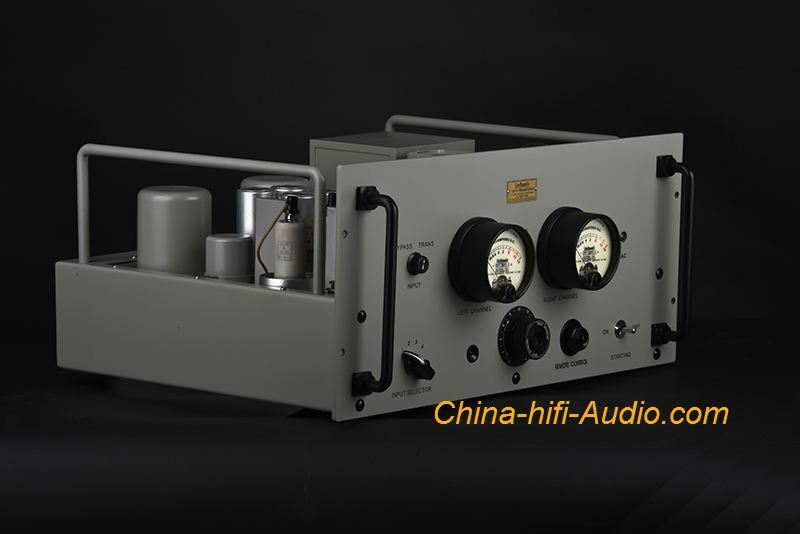 Line Magnetic Audio LM-129 tube preamp was born. Line Magnetic LM-129's sound is very texture, condensation, natural and real performance. Using a tube 6J7*4 for amplification, a 274 (5u4) tube rectification is used with a Line Magnetic 1:1 replica WE618 input transformer and a 197A output transformer, which is a nice sound pre-amplifier with a transformer input and transformer output. At the same time Line Magnetic also specifically join the transformer input input switch for this machine to facilitate the user to choose their favorite tone.